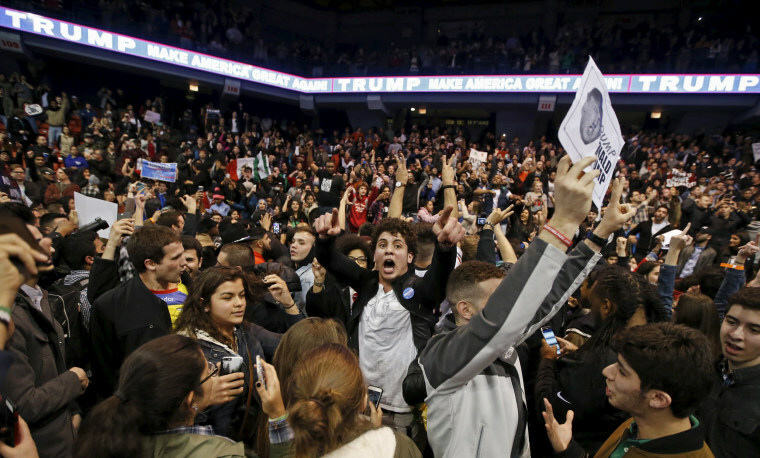 "For the safety of all," a rally for Donald Trump was called off in Chicago after clashes erupted. 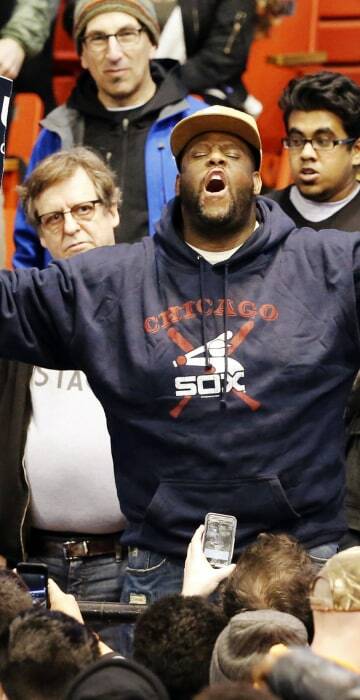 Protester Sanko Hampton holds up an American flag in Chicago on March 11, 2016, before a rally with Republican presidential candidate Donald Trump at the University of Illinois-Chicago. 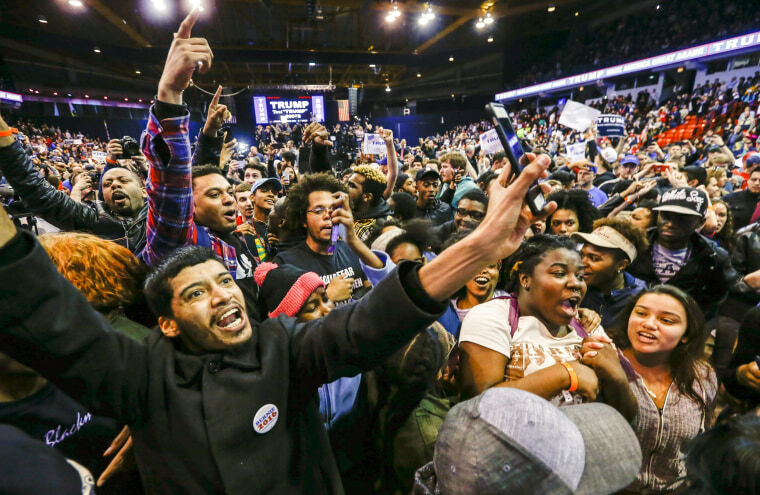 The rally in Chicago was called off Friday after protests and clashes erupted even before the controversial candidate took the stage. 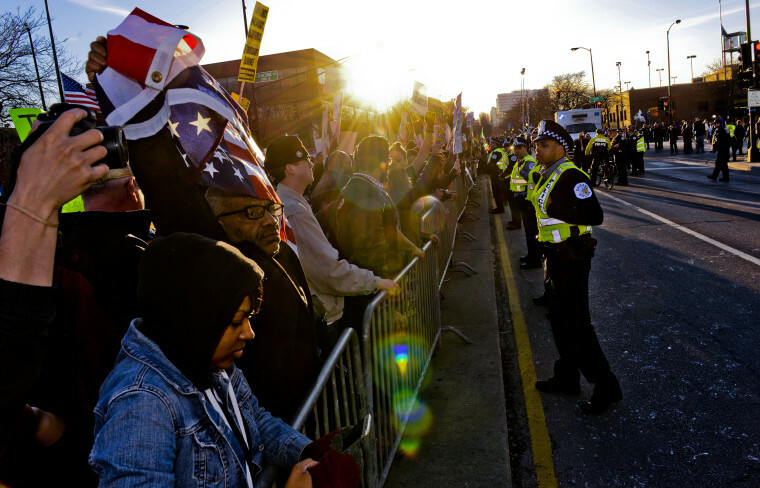 Protesters march in Chicago before the Trump rally. 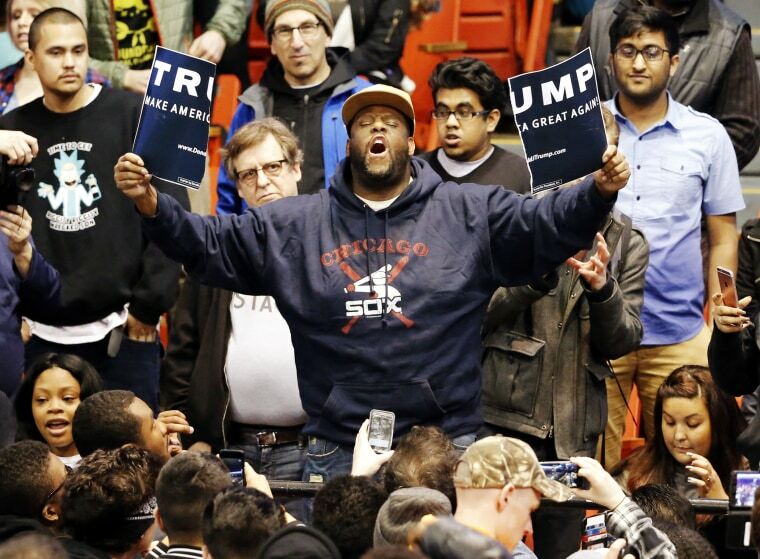 A protester holds up a ripped campaign sign for Republican presidential candidate Donald Trump before a rally on the campus of the University of Illinois-Chicago. 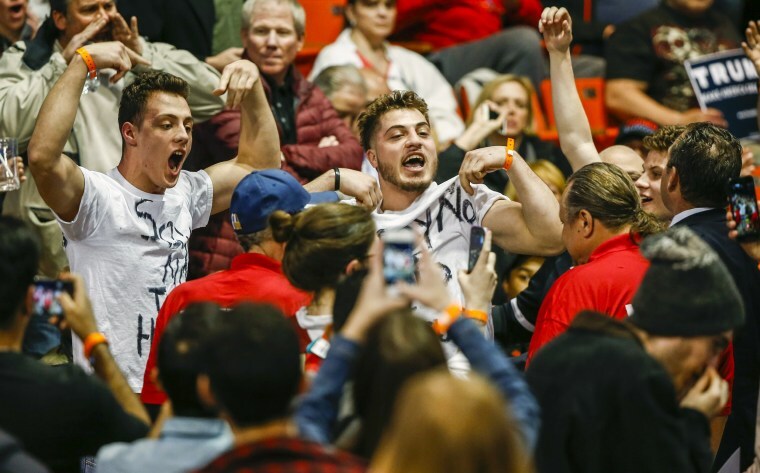 Protesters wearing "Muslims Unite Against Trump" shirts shout inside the venue for the Trump rally. 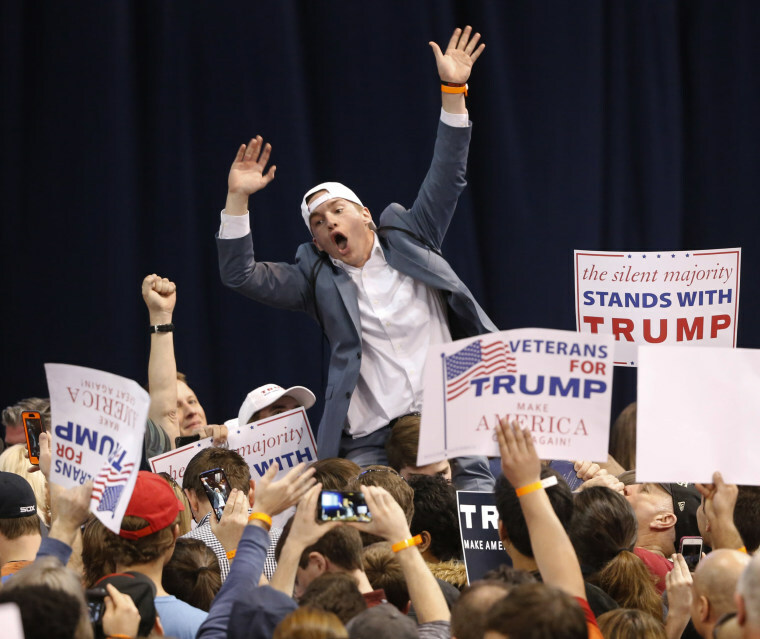 A Trump supporter tries to pump up the crowd before the rally. Protesters shout before the rally. 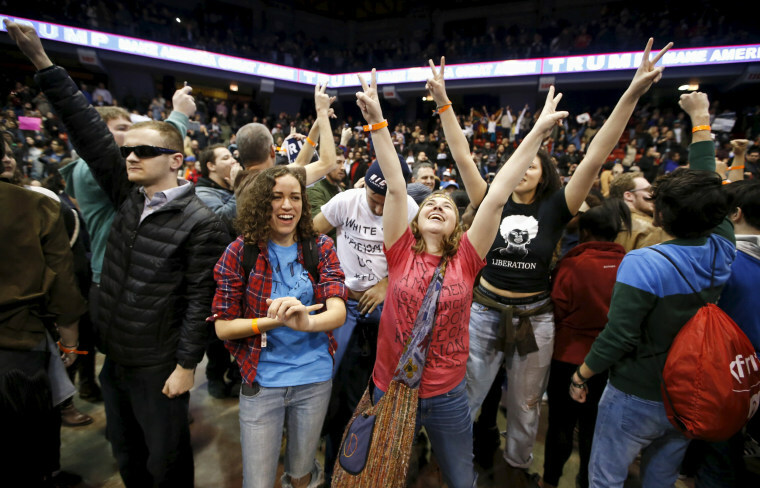 Demonstrators celebrate after Republican presidential candidate Donald Trump canceled his rally at the University of Illinois-Chicago. 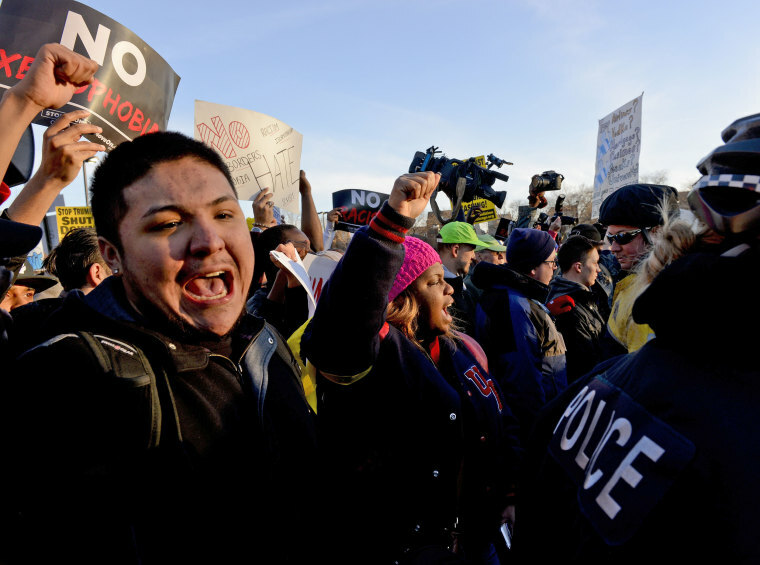 Demonstrators celebrate after the rally was canceled. 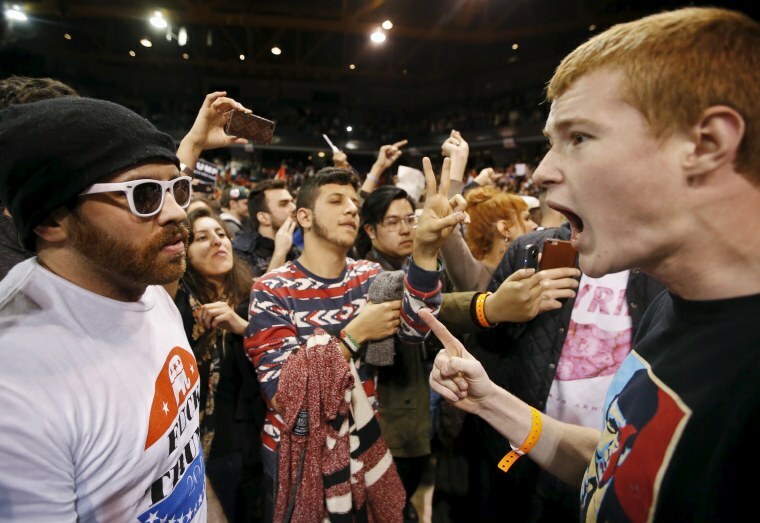 A Trump supporter yells at a demonstrator after his rally was canceled at the University of Illinois-Chicago on March 11.